Property buyers who yearn for a waterfront lifestyle within the city area of Singapore, may be in for a good deal at Concourse Skyline along Beach Road. It is a 99-year leasehold apartment located in District 7 of Singapore, an area where private residentials are exceptionally rare with only DUO Residences, City Gate and South Beach Residences being the newest developments in the precinct. 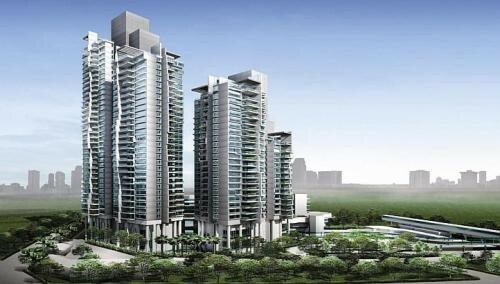 Apparently a 786-sqft unit at Concourse Skyline has been put up for sale at only S$1,590 psf or S$1.25 million. This price point was last seen in 2012 when a similiar unit on the lower level have changed hands for S$1,591 psf. The 360-unit project was completed in 2014, surrounded by the Marina Promenade, the Pan Pacific Serviced Suites and shophouses with historical value at Kampong Glam (it’s also where you’ll find eateries, shops and pubs). Just within 3 minutes’ walk away is the Nicoll Highway MRT Station, which is part of the Circle Line MRT network. Thus getting to other parts of Singapore will be an absolute breeze. As for rentability in Concourse Skyline, two latest rental contracts (size ranging from 700 to 800 sqft) this year amounted to an average of S$3,750. This translates to a decent rental yield of approximately 3.6%. How well did new launches in 2015 perform?